Hayari Fehom Perfume by Hayari, In 2015, Kayari Fehom was launched . This scent for men and women combines the masculine aromas of the outdoors with milder, feminine notes. Most dominant are amber and benzoin, but just underneath vanilla and juniper soften these. Sandalwood and grasse rose form a beautiful base to carry these scents with you wherever you go. Just a touch of perfume lasts all day long and you can rely on it to be just as strong when you go out on the town as it was when you Read More Read More arrived at work earlier that day. 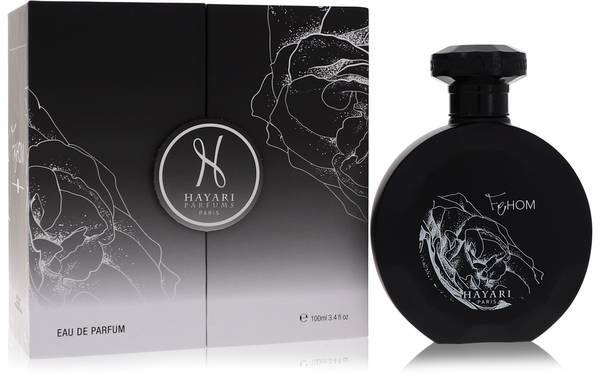 In 2011, Hayari expanded from a haute couture company to also offer perfumes and colognes. Over a dozen scents exist from this company, some for men, others for women, and even a select few unisex aromas. Based in France, this company draws inspiration from France and the Orient for a unique combination that appeals to a modern age. While the company's gowns have graces celebrities and royalty, its perfumes are priced to reach a wider audience. All products are original, authentic name brands. We do not sell knockoffs or imitations.